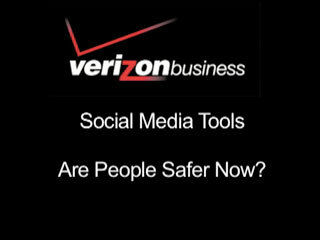 Social Media Tools: Are People Safer Now? At RSA 2007 in San Francisco, network security podcaster Martin McKeay headed a series of discussions about the new tools available to consumers, and how far we’ve come. Joining McKeay are Dan Mathews and Brae Legg of Verizon Business.